I gave a Power, Path & Performance vocal seminar to a drama group at "Center Stage" theater in El Paso, Texas this last weekend. Judging by the sound of their voices at the end of the seminar, and the after-seminar comments, it was a smashing success! "She (Judy) was amazing. In a matter of 10 minutes she helped me more than any voice teacher ever has... and she totally understands how we feel!" "I always knew about breathing but you actually showed us how to do everything properly instead of just expecting us to know from seeing a picture. You are an amazing teacher." "Your methods of singing put less stress on our throats. You put everything in a way I can understand. You make everything easier for me to do. I learned a million new things." 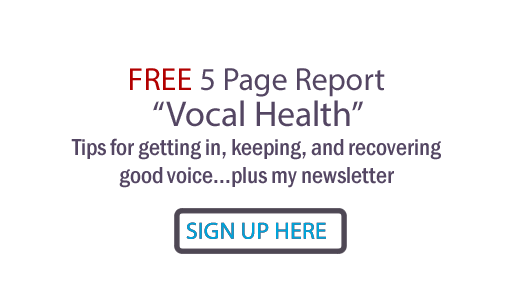 "My current vocal coach has been causing several problems and she hasn't addressed several problems that were worrying me. The seminar really helped me with musical theater." "I was really nervous but you helped me to feel confident with my voice. I'm a new singer but you treated me like a regular. I had a really good time and I sincerely appreciate it. Thanks!" "It was an amazing experience, I learned so much and was able to sing an end of a song I was never able to. I had so much fun and now that I learned so many new techniques and how to use my voice the right way, I'm not straining myself. Thank you so much!" If you or your organization would be interested in discussing booking a seminar that can significantly increase the vocal ability of all present, please contact me for scheduling. ... and many thanks to Danny and Brenda Bishaw for booking this El Paso seminar. Judy, you're the best. You can see it in that video with your student. I linked to your blog at http://blog.marksalinas.com/. He has an article about kids and music there. Thank you so much, Dr. Hubbard! It's an honor to have any of my blog posts linked somewhere else on the internet; it's also the best feedback to me that I may be offering something useful to people out there.